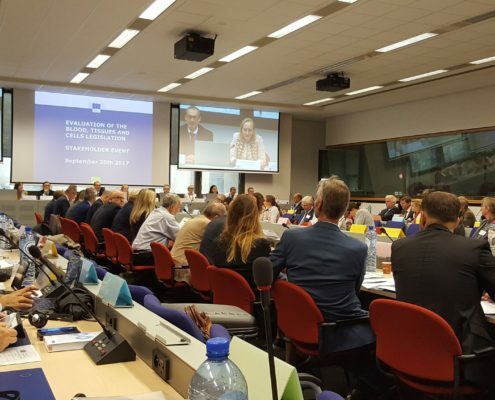 IPOPI was among the 250 stakeholders who actively participated in the successful Stakeholders Event organised by the European Commission on the Evaluation of the Blood, Tissues and Cells legislation. The meeting brought together for the first time all the stakeholders from the Blood and Plasma product field as well as those from the tissues and cells field. The meeting was formally opened by Dr Martin Seychell, Deputy Director General, DG-Santé, European Commission and Dr Anna-Eva Ampélas, Head of Unit, Medical Products: Quality, Safety and Innovation. 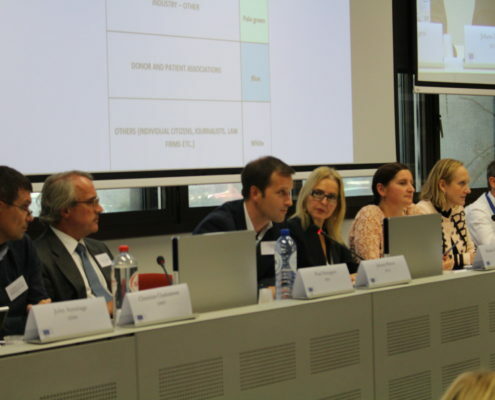 Dr Seychell stressed the importance of the meeting for the European Commission in taking stock of where we are with the legislation and assess whether it is still fit for purpose in its current form. The meeting was the first step in the evaluation process launched by the EU Commission with a view to implementing an evidence-based approach to review the legislation. The European Commission also stated that additional individual meetings with key stakeholders would be welcomed to ensure a robust consultation process in the context of the evaluation. Participants were informed that the evaluation report will be published by end of 2018, therefore indicating that any potential review of the Blood Directive is unlikely to take place before 2019. The programme featured various sessions on the key importance of donors, regulatory oversight of the sectors, availability and sufficiency, legal consistency and coherence as well as on technological, societal, epidemiological and international developments. Johan Prevot, IPOPI’s Executive Director, spoke on behalf of the Platform of Plasma Protein Users (PLUS) in the session on “Availability and sufficiency -Are patients getting the blood, tissues and cells that they need?”. In his presentation, Johan Prevot highlighted the importance of ensuring a revised Blood Directive should be patient-centred in line with the patient-centredness approach taken by the European Commission in other recent key health policies. He remarked that the current blood directive mentions patients three times whereas donors are mentioned 41 times. He outlined the importance of donors but called for a balanced patient and donor centred approach. Mr Prevot indicated that PLUS represents an estimated 576,300 patients in Europe and that PLUS supports the co-existence of both the voluntary unpaid blood donor and remunerated plasma donor systems to meet current patient needs for Plasma Derived Medicinal Products (PDMPs). Mr Prevot stated that PLUS would like to bring to the attention of the Commission that the scope of a potential revised Blood Directive should cover quality, safety and supply and should ensure that a clear differentiation between blood and plasma is implemented. He outlined the need for clear definitions as what applies to blood and blood products does not necessarily apply to plasma products. He called for new concepts to be introduced in the scope of a future potential Directive including the availability and continuity of supply of blood components and PDMPs, encouraging Member States to implement good manufacturing practices and testing requirements in line with the European Medicines Agency Plasma Master File (EMA’s PMF) guidelines as a prerequisite to use such plasma for manufacturing of PDMPs, the introduction of plasmapheresis programmes where feasible, the avoidance of wastage of plasma. All in all, the stakeholders event was an excellent initiative that not only enabled the numerous stakeholders of the blood, plasma, tissues and cells fields to meet and exchange experiences and opinions for the first time but also outlined the need to ensure a patient-centred approach and to differentiate between the different substances of human origin. What may apply to an organ donation may not apply to a blood or plasma donation. It is therefore key moving forward to differentiate and ensure any future policies or ethical considerations put the patients interest and their health at the centre of all discussions.